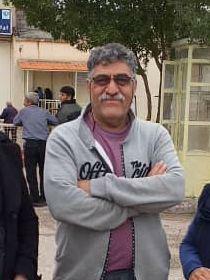 Although Ali Nejati, a member of the Haft Tappeh Sugar Cane Workers’ Union’s executive committee, is now a retired worker, and already had a heart condition before his latest arrest, he was beaten during his arrest. Since the second raid on his home by the Iranian regime’s security forces on November 29th 2018, Mr Nejati has been interrogated and tortured in jail. The Shahrokh Zamani Action Campaign strongly condemns the arrest of Ali Nejati and demands his immediate and unconditional release. All Haft Tappeh workers and activists must be freed. We call on all trade unionists, socialists and other political activists to help us in defending the rights of all workers, social rights’ activists and political prisoners in Iran.